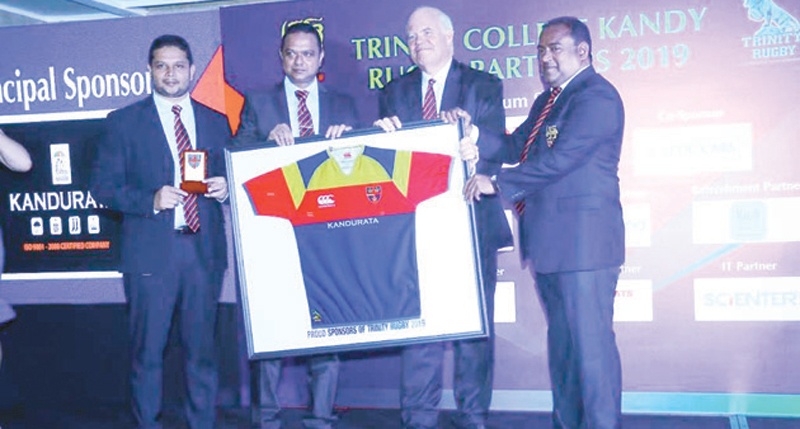 Kandurata Umbrella Industries (Pvt) Ltd extended its commitment to empower Trinity College Rugby for the second consecutive year as the Principal Sponsor. Trinity College Kandy, one of the most prominent institutions that introduced rugby to schools in the country, has a rich tradition of over 113 years with the sport. Trinity has been in the schools rugby scene without any interruption since 1906 to date and has been consistently producing top rugby teams over the years. The school has been contributing to the game by producing many national players, captains, referees and administrators. Kandurata Umbrellas made its name in a different manner, conquering the world of business, with a breakthrough product line-up, spearheaded by the superior quality umbrellas since the company was founded in 1978. Kandurata Umbrellas has already secured the top slot in the market at the manufacturer of Ladies’ Gents’ and kids’ umbrellas. The company also manufactures and markets quality mosquito nets, rain coats and socks, expanding their product range to fulfill the needs of the customers and consumers. Kandurata is a corporate leader that is in the forefront of promoting sports in Sri Lanka. They have been the clothing sponsor of the Sinhalese Sports Club cricket team continuously for the past seven years and has been exclusively working with TAFA (Thaabit Ahmed Football Academy) sponsoring them and backing them in many ways.